Start your Thanksgiving morning off right with the Exeter Run Club’s 3rd annual ‘Thanks 4 Giving’ 5K, 10K & Free Kids Fun Run. This race will be the final race in the Exeter Health Resources' United for Wellness Road Race Series. Register before 11:59 pm on 10/31/18 to be guaranteed a t-shirt with registration (1 per individual and 2 per family). T-shirts are not include with Kids Fun Run registrations. You can buy additional t-shirts for $10 when you sign up and a limited supply may be available at the event for purchase. Please arrive early if you would like to purchase a t-shirt! We also have a limited supply of commemorative race pint glasses for sale at the bottom of this page, click the button to check out a picture of the front and back. Bib Pickup for pre-registered runners will be held at George and Phillips in downtown Exeter on Wednesday, 11/21 from 3-6 pm. Come Wednesday to get your bib, avoid race day lines and get in some holiday shopping for yourself and family with 10% off your entire purchase when you show your bib from 3-6 pm on the 21st! 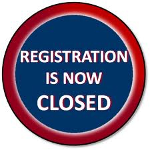 Day of Registration and bib pickup opens at 7:00am at the Talbot Gymnasium, 40 Linden Street, Exeter, NH, and will conclude at 8:15am. Same day registration for the Kids Fun Run is 7:00am - 7:40am. Please come early, there will be lines and the race start will not be delayed! 10K Runners will do a double loop of the 5K course. Course will run through the beautiful community of Exeter, NH. This will be a flat and fast course and especially encouraging for families to participate. The 5K course distance will be USATF certified. The Kids Fun Run will have 4 age group categories: 4 and under; 5-7; 8-9; 10 and up. We are still determining Fun Run distances, but longest is just under 1/2 mile. Friends and family can volunteer on the race course for added giving! Last year we had 980 participants at our Thanks 4 Giving race! How awesome is that? This year we hope to top that. We ARE a dog-friendly race and do encourage your furry companions to tag along; however, it will be VERY crowded on race day. Dogs MUST be kept on a leash at all times and if your pup gets easily overwhelmed in noisy settings, with a lot of other people, or around other dogs, this might not be the best race for them! We ask that you keep your pups out of the main area 0n the side of Talbot Gymnasium, and that you start your walk or run toward the back of the crowd. Thank you for helping us keep all of our racers, human and pet, safe! End 68 Hours of Hunger, established in New Hampshire in 2011, whose mission puts nourishing food in the hands of school children to carry them through the weekend. This event would not be possible without the support of our community sponsors. Please join us in thanking them for their generosity!